A Hat in Time has surpassed 1 million copies sold across PC, PlayStation 4, and Xbox One and will soon add to that number with an impending Switch launch. 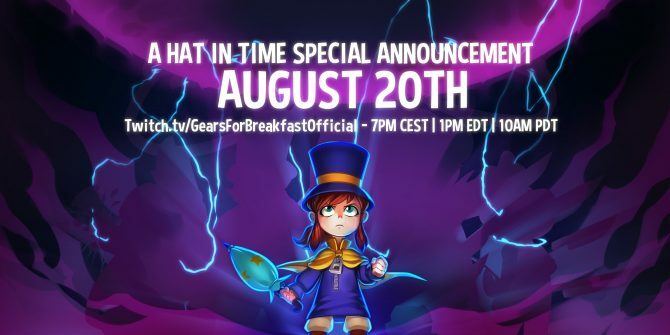 Gears for Breakfast have announced that their title A Hat in Time has reached the 1 million copies sold milestone this morning. The “cute-as-heck” 3D platformer released on PC and Mac in October of 2017 and came to PlayStation 4 and Xbox One a little later on December 6, 2017. 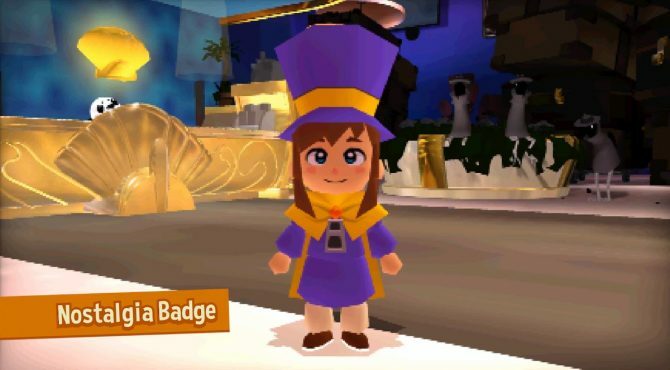 A Hat in Time is also coming soon to Nintendo Switch. 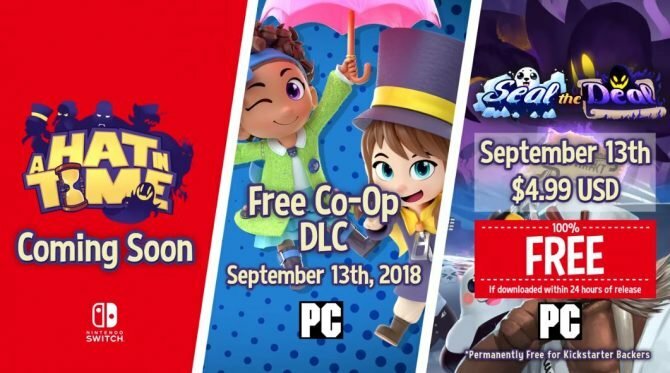 The Switch port was announced alongside two DLCs for the game, “Seal the Deal” and a co-op pack, in September of this year in partnership with Humble Bundle. The “Seal the Deal” DLC even included a 240p mode that turned back the graphics for nostalgic purposes, as the game is a love letter to the GameCube era of platformers. It was in July of this year that Gears for Breakfast announced that the game had reached 500,000 copies sold, meaning it has sold more in the past five months than it did in its first ten months of release. 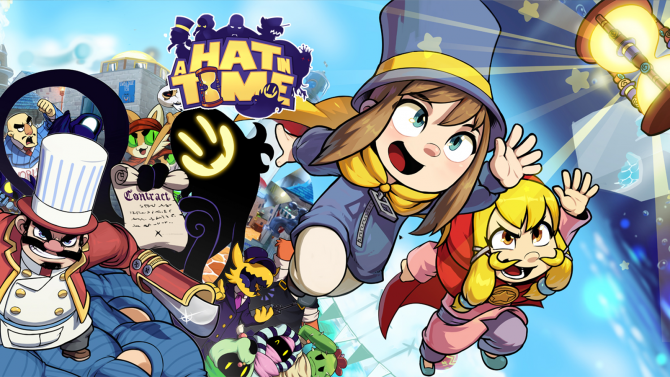 You can ponder whether to purchase it for yourself by reading our review of A Hat in Time in which we found it to be a decent throwback that lacked adding anything new to the genre. In celebration of reaching this milestone Gears for Breakfast is releasing a Milestone Poster via The Yetee for only $8. There are only 500 total copies, are made out of 12″x 12″ premium archival matte poster stock, and will only be available until February 28, 2019.